Forrester Research just published a new report on e‑signature, The State Of E-Signature Implementation: 25 E-Signature Use Cases Show Adoption Trends. In it, Forrester analyzes electronic signature implementations from a cross-section of industries, including financial services, government, food services, tourism, manufacturing, retail and more. The growing European adoption of e-signatures for document signing is clear. More than 50% of the implementations presented in this report are in the EU, with representation from Denmark, Italy, Greece, Belgium, the Netherlands, Romania, Turkey and Ukraine. While patterns emerge among geographic regions and enterprise sizes, one of the most interesting is authentication for document signing transactions between organizations and their customers. In this eIDAS paper, legal expert Lorna Brazell of Osborne Clarke LLP, explains electronic signatures under the EU’s new Electronic ID and Trust Services Regulation. A future-proof e-signature solution has to be able to support the different authentication requirements of each of these. For example, an internal process that requires employees’ signatures may require a simpler form of authentication such as Single Sign-on (SSO). A legally enforceable transaction with a vendor or customer, on the other hand, may require stronger authentication, depending on factors such as the value of the transaction and level of risk involved. In addition, the needs of each sales and delivery channel (e.g., branch/retail, call center, online, remote, in-person, etc.) will require different methods of authentication. An electronic document signing process that occurs face-to-face in a bank branch, for example, will not use the same authentication method as a remote account opening. As a result, organizations with offices and operations in multiple countries may need to add to their requirements list the ability to support authentication methods specific to various regions and jurisdictions, such as the third-party digital certificates foundational to a Qualified E-Signature, as defined under eIDAS. This integration brings together biometrics, fraud analytics and mobile e-signature technologies to deliver secure and convenient mobile experiences. It leverages e-signatures to capture intent in a legally binding way, using something as simple as a “selfie” to validate the customer’s identity before the signing process is complete. As you think about how to digitize your paper-based signing process, start by familiarizing yourself with your process, requirements and risk tolerance. While there are many secure and user friendly options for identifying signers online, ultimately the choice of authentication method depends on the risk profile of the process being automated and the underlying digital transaction. 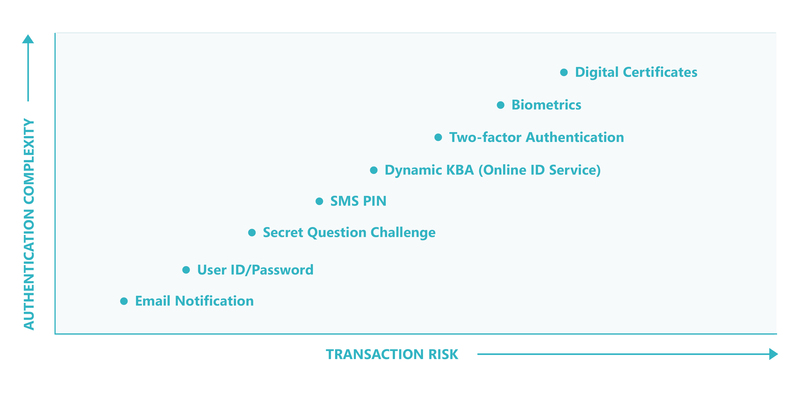 The key point here is to securely authenticate users without diminishing their experience. Look for an e-signature solution that offers a wide range of authentication options to better fit your needs and as a result, enable better experiences. For example, ensure you have the ability to authenticate signers before they gain access to documents AND at the point of signing for your higher risk, higher value transactions. What type of processes are we automating? In what channels do they take place? What types of documents are being signed? What is the transaction value? An e-signature solution such as eSignLive by VASCO provides the flexibility to support any authentication requirement you have today and tomorrow, no matter how simple or advanced. This flexibility will enable you to use the same e-signature solution across your organization, while customizing the authentication to provide a secure and intuitive user experience.